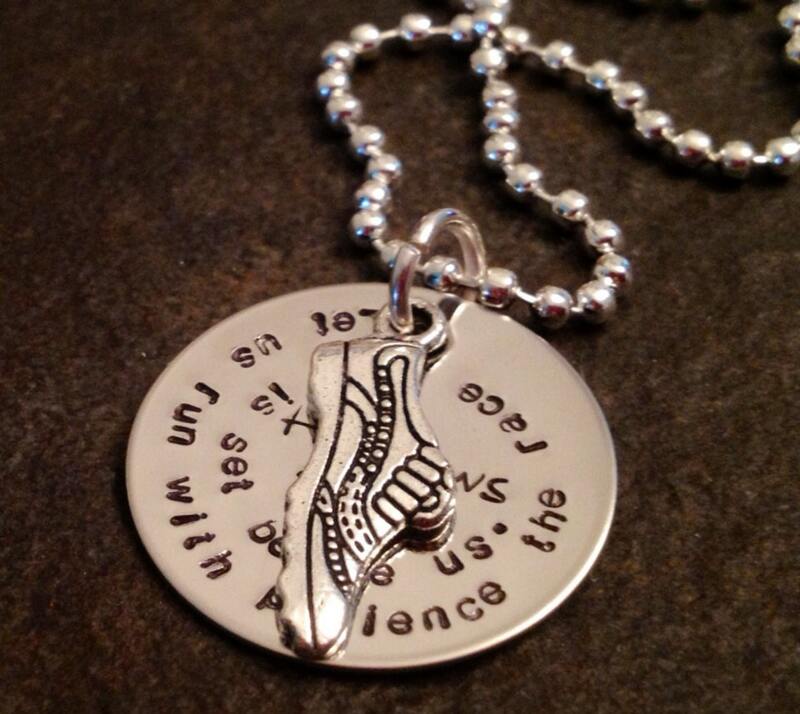 Perfect necklace for any runner! 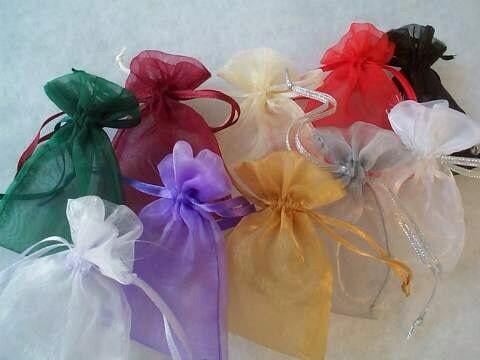 The 1" round says, "let us run with endurance the race that is set before us". 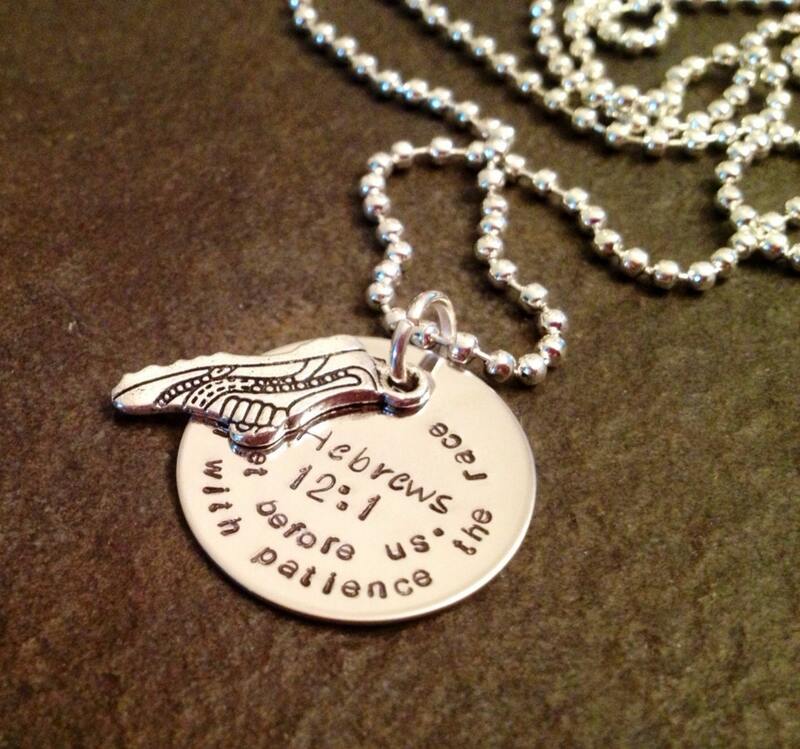 Please note that the verse (Hebrews 12:1) can be a different version (popular change is "patience" to "endurance"). You can change the wording however you want, it doesn't have to be the verse shown at all! 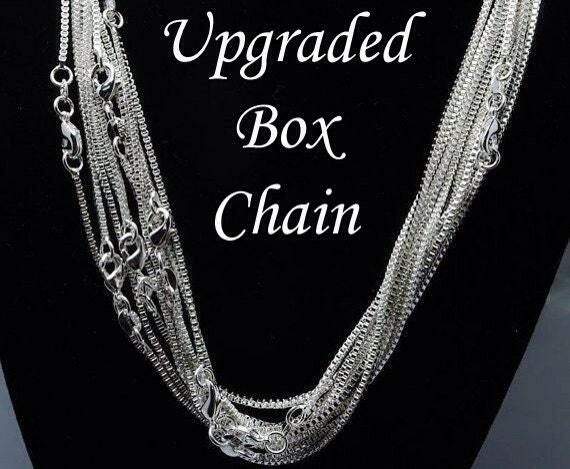 Includes a running shoe charm and 24" shiny ball chain.